The Cybex Plate Loaded Squat Press is a space-saving and user-friendly plate-loaded training station which is suitable for users of almost any size. More importantly, its design meets the needs of advanced gym goers as well as complete beginners. The direct linkage system provides variable resistance profiles to ensure adequate strength curve throughout the ROM. Additionally, the incorporated Four-bar linkage mechanism ensures correct ankle position throughout the motion. 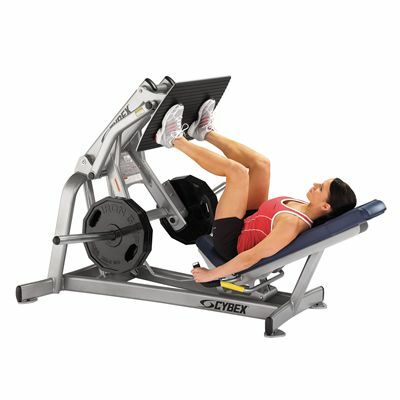 The machine is compatible with Cybex Olympic weight plates (not included). Direct linkage system provides variable resistance profiles to ensure proper strength curve throughout the ROM. for submitting product information about Cybex Plate Loaded Squat Press We aim to answer all questions within 2-3 days. for submitting product information about Cybex Plate Loaded Squat Press. We aim to answer all questions within 2-3 days. If you provided your name and email address, we will email you as soon as the answer is published. for submitting product review about Cybex Plate Loaded Squat Press.